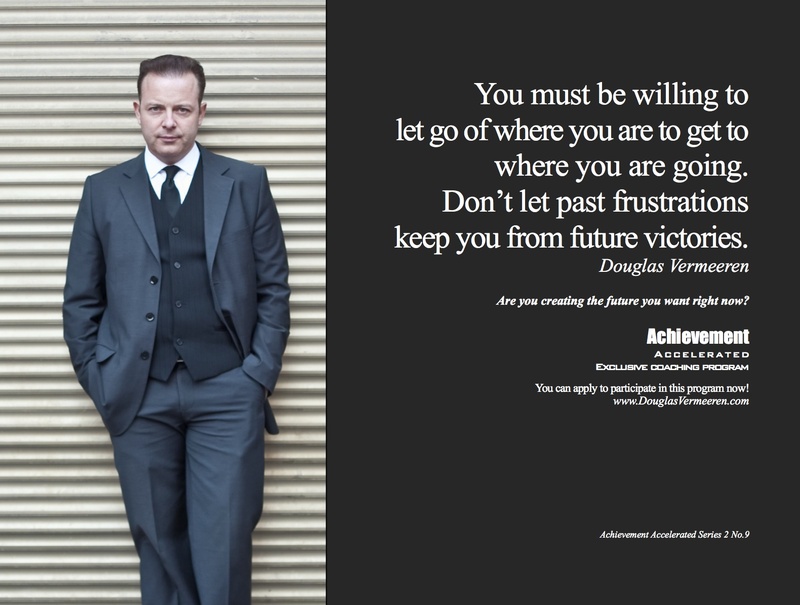 There are few people in the world who are held in as high regards in the subject of achievement as motivational speaker and expert Douglas Vermeeren. Vermeeren has been called “The modern day Napoleon Hill.” He is an accomplished author, television show host, keynote speaker, film producer, coach to celebrities and business leaders, and his work has been translated into more than 22 languages around the world. Achievement Accelerated is a course that consists of 22 lessons, live coaching support, and a brutally honest approach to achievement based on how some of the world’s top achievers were able to obtain an incredible level of success. 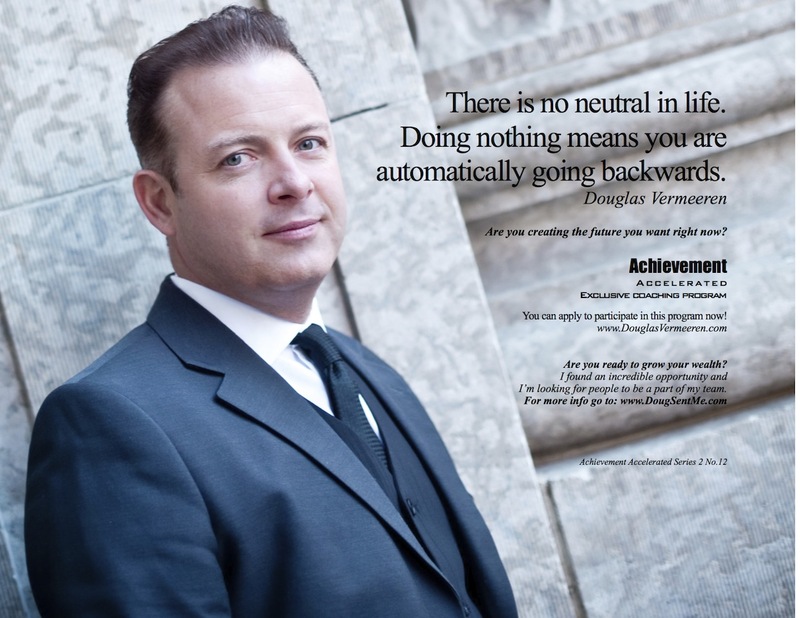 I recently had the opportunity to interview Douglas Vermeeren about his success, achieving goals, and Achievement Accelerated. Below is the full interview. Michael Luchies: How did you get started in becoming an expert in Achievement? 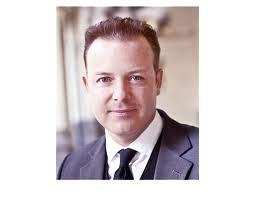 Douglas Vermeeren: I actually started as a sales trainer and I was drawn to the idea of achievement. It has always fascinated me. ML: Why did you decide to focus intensely on the specific topic of achievement? DV: I like the idea that people (including myself) can accomplish amazing things. I was really intrigued by the fact that some people do amazing things while others do not. And I really wanted to understand why. ML: What has been the key to your personal success? DV: My success comes from what gets me most excited and purposeful. By pursuing my passion I have been able to tap into my greatest self. ML: Why and How did you come up with Achievement Accelerated? DV: Over the last several decades I have conducted extensive research on a variety of top achievers including the leaders of several significant companies and organizations, also many top athletes, celebrities and so forth. I found that what they were doing to create success was different than what is typically taught for achievement and goal setting. I felt that the real strategies that work in real life needed to be taught and I didn’t see anyone doing it. ML: What result’s have you seen from Achievement Accelerated so far? DV: I’ve seen the lives of many people change for the better. I have seen financial prosperity grow for people, improved relationships, I have seen people meet their health & fitness goals. Overall I have seen some very amazing stuff. ML: That is fantastic. What is one effective way of increasing the likelihood of achieving a goal? – The Ability to do it. It’s as simple as that. ML: What is the most common misconception about achievement? DV: Almost everything taught about achievement and goal setting today is incorrect. Most top achievers don’t follow the “write it down, set a date” formula or the SMART goal system taught in high schools. They use something more appropriately called the Law of probability. ML: What is the best part of being a coach and motivational speaker? DV: I think it’s being able to participate in high level change with people. My job description is to literally help people live the life they dream about. 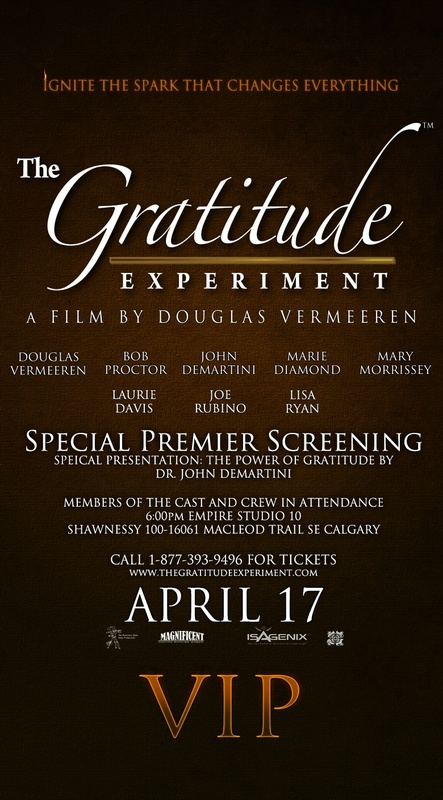 Douglas Vermeeren is able to live out his dream by helping others live out theirs. 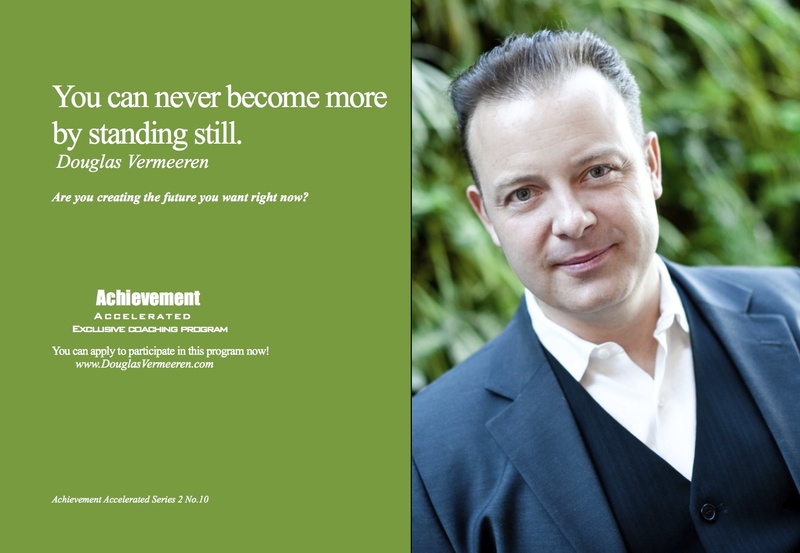 I have always been told to follow and do as the people you strive to be like, and Vermeeren is doing just that by taking what he has learned from the world’s most successful people and putting it to work for others through Achievement Accelerated. 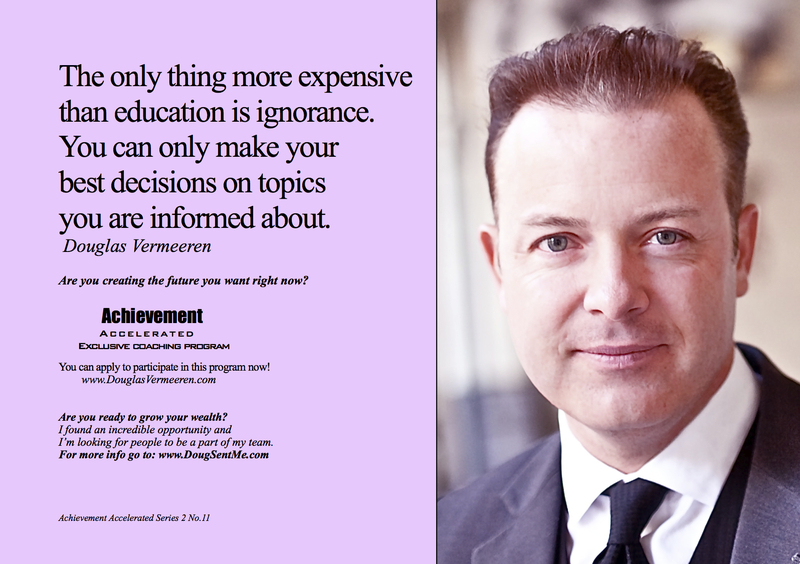 Thank you to Douglas for the great interview and I recommend that others check out Achievement Accelerated as a way to accomplish goals and learn how to properly pursue a higher level of achievement.